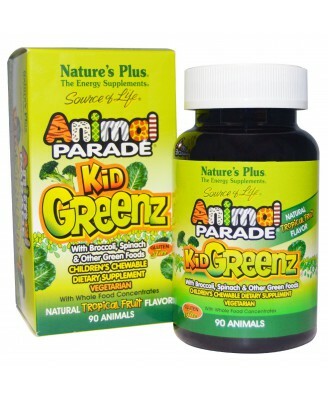 Animal Parade KidGreenz supplies a precisely calibrated proprietary blend of green vegetables and oceanic superfoods. 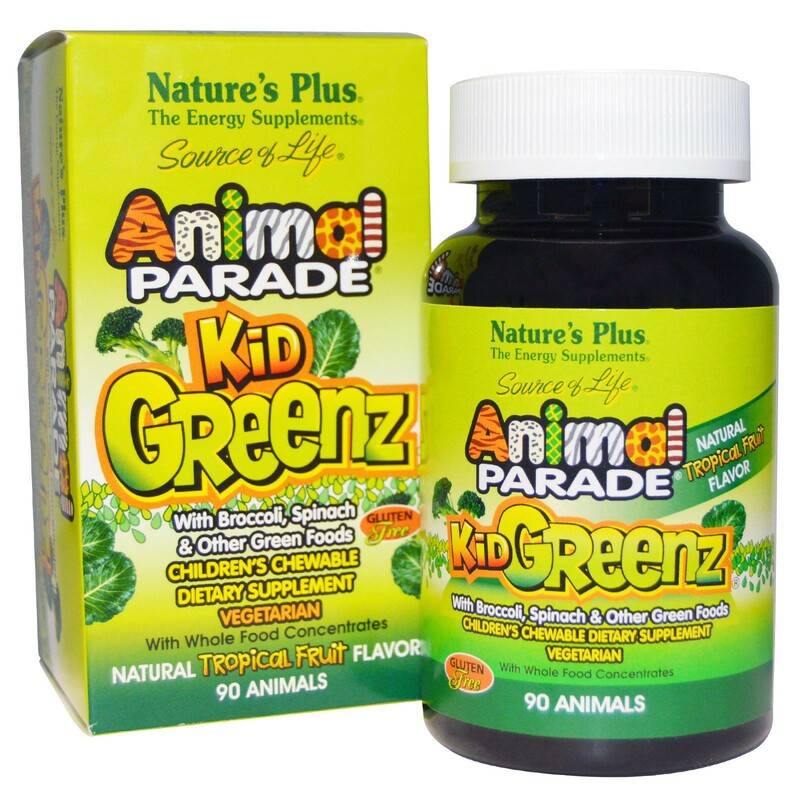 Animal Parade KidGreenz supplies a precisely calibrated proprietary blend of green vegetables and oceanic superfoods. With KidGreenz, kids get the health benefits of high energy, phytonutrient-rich green superfoods from land and sea in delicious chewable tablets. 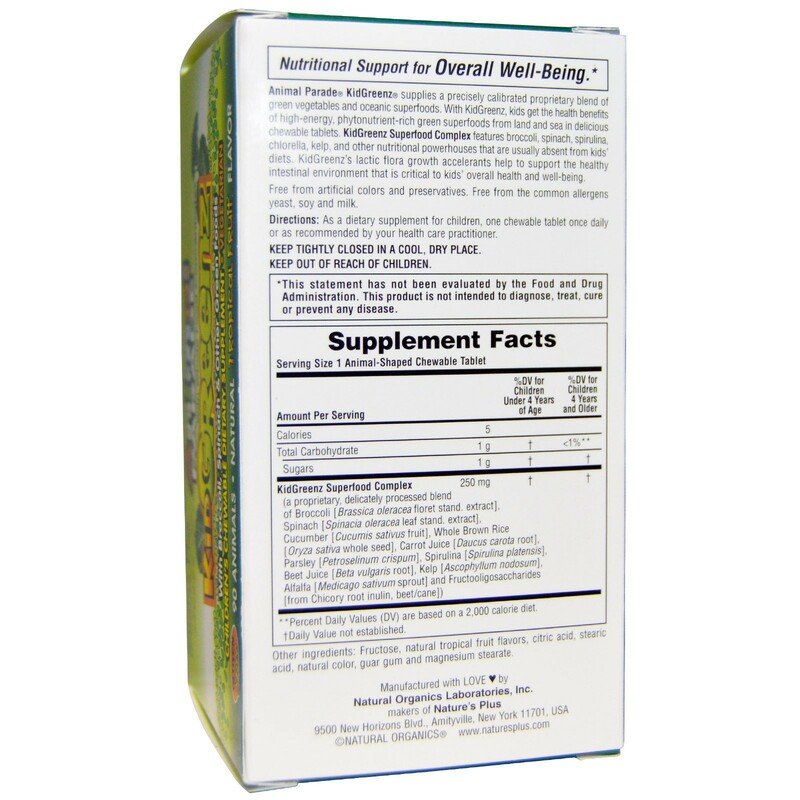 KidGreenz Superfood Complex features broccoli, spinach, spirulina, chlorella, kelp, and other nutritional powerhouses that are usually absent from kids' diets. As a dietary supplement for children, one chewable tablet once daily.